I've been investigating still life, which is something I've intended to do for many years. Also, I'm returning here to doll imagery. 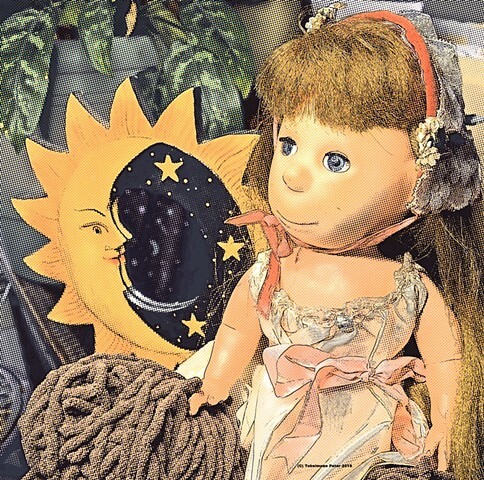 The doll in the photo is 'Poor Pitiful Pearl,' a commercial doll from the late fifties, and a favorite of my wife's.